The materials used by Mimanera are carefully selected on the Italian and European territory. Mimanera guarantees their originality and their tightness thanks to the skilful processing done by skilled craftsmen. 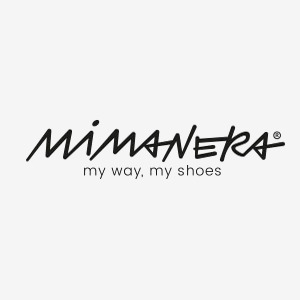 WASHING NOTES For a better maintenance of your Mimanera products, we recommend to wash them by hand or in a washing machine at 30° ensuring the shoe inside a lining. For models that include studs it is recommended to proceed with an accurate drying inside and outside (using a traditional hair dryer) to avoid the possible formation of rust, as a consequence of the natural deposit of water inside the stud itself. In case of products made with swarovski applications avoid hard washings by protecting the respective shoes in separate liners, then dry the shoes in the air, not in the sun and far from heat sources.